Megalonisos,The Big Island Crete in the colloquial tongue and spacious and big it is. The brooding presence of its four mountain chains cut through it dividing the island into four little countries and their capitals. 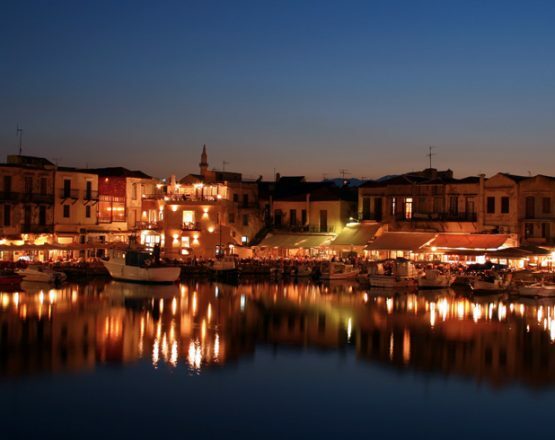 The city of Heraklion,the city of Chania, the city of Rethymno and finally the city of Agios Nikolaos. The snow tipped mountains of the winter for more than 80%of this continent is mountains. When one crosses through the lowlands it is as if Crete is a continent rather than an island. A massive land where the sky line halters ones eyes instead of the sea. After Sicily, Sardinia, Corsica and Cyprus, Crete is the largest island of the Mediterranean. 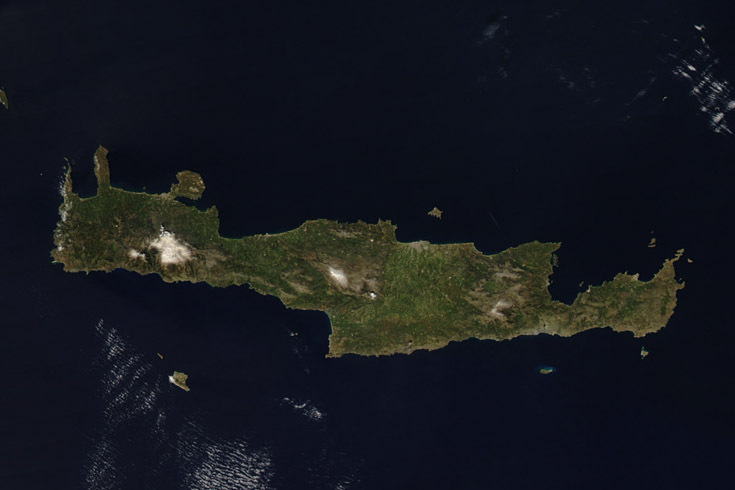 The Greeks often remark that Megalonisos the big island Crete is the most Greek island. A rugged spacious island with sudden changes in landscape this enigmatic island was the birthplace of Zeus, Radamathis, Sarpidon, Minos, Ariadne and of the famous Minotaur. It still must be lurking somewhere underground today just like the Loch Ness Monster not yet captured on camera. Yes Crete is a strange place full of myths, heroes, legends, settlements, ravines that lie baking in the midday sun. These mountains, rocks, gnarled olive trees, remote beaches, ribbon villages even the people everything reflects the history of the Mediterranean sea and its peoples though out time! For the Cretans witnessed the King Minos rising and his collapse, Alexander the Great, The Romans, St.Paul, the Arab Moorish pirates, the rise of Venice, the slave markets of Turkey, the Nazi parachutists, even the American hippies… So the Cretans are a skeptical and shy people hardly surprising wouldn’t you agree? The Cretans due to their history that so often suffered occupation, execution, annihilating populations driving them into hiding up into the mountains depraving them from peace and safety, gave birth to a type of poetry the Madinada! These poems that sing of country virtue in an unexpected sensitivity speak of Levedia (Vertue) Levedisa (areti)for women. But this bony land with its uncompromising mountain slops, coves curious people is place that someone can easily call home! See Crete like a Cretan like a friend, as if returning home after a long time.